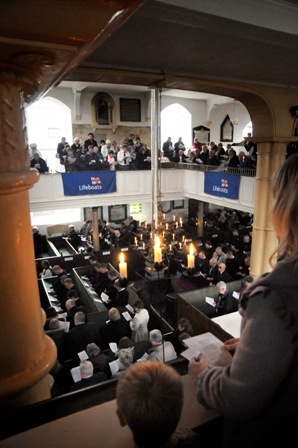 The following photographs feature a second selection of photographs captured by Ceri Oakes during part of the service to commemorate the 12 men who died in the 1861 lifeboat disaster 150 years ago during a great storm in one of the region’s worst lifeboat disasters. 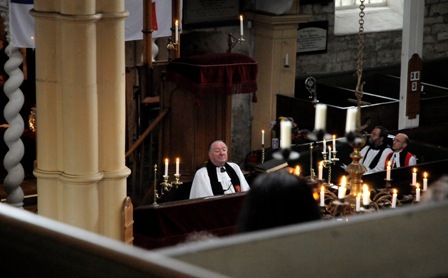 The following photographs were part of a wider service, held at St. Mary's Church on the East Cliff overlooking the scene of the ill fated tragedy. Whitby's lifeboat capsized with the loss of all but one of the crew, during attempts to rescue sailors from the stricken collier Merchant despite having put to sea for the sixth time that day. The sole survivor Henry Freeman, was on his first lifeboat launch and is thought to have survived because he was the only man wearing the new design of cork lifejacket. 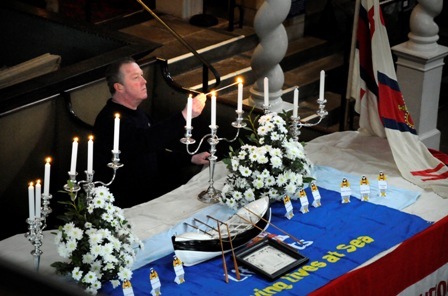 During the comprehensive service the names of those lost in the lifeboat disaster were read out, at the same time the present coxswain, Mike Russell lit a candle for each man. 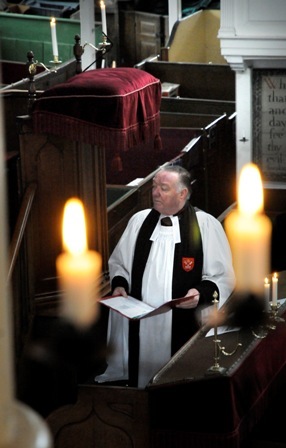 O MERCIFUL God, the Father of our Lord Jesus Christ, who is the resurrection and the life; in whom whosoever believeth shall live, though he die; and whosoever liveth, and believeth in him, shall not die eternally; who also hath taught us, by his holy Apostle Saint Paul, not to be sorry, as men without hope, for them that sleep in him; We meekly beseech thee, 0 Father, to raise us from the death of sin unto the life of righteousness; that, when we shall depart this life, we may rest in him, as our hope is this our brother doth; and that, at the general resurrection in the last day, we may be found acceptable in thy sight; and receive that blessing, which thy well-beloved Son shall then pronounce to all that love and fear thee, saying, Come, ye blessed children of my Father, receive the kingdom prepared for you from the beginning of the world: Grant this, we beseech thee, O merciful Father, through Jesus Christ, our Mediator and Redeemer. Amen. 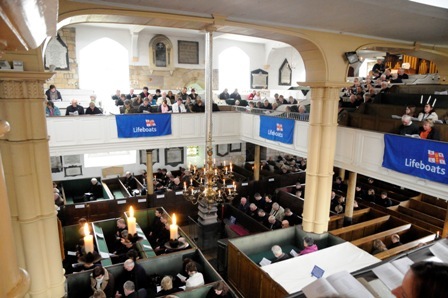 The Service of Commemoration was attended by members of the lifeboat crew and the Bishop of Whitby. 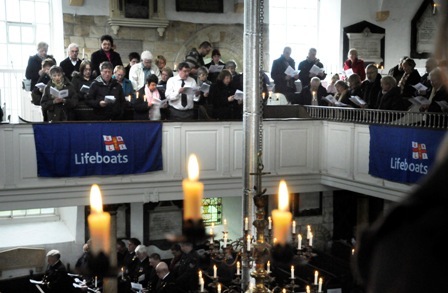 Marske Fishermen’s Choir performed a song written about the tragedy where it was performed for the first time at the 1861 lifeboat disaster commemoration service.